Everybody has an opinion. Every fisherman who’s been lucky enough to cast through a perfect day in the Last Frontier knows its best rivers for fly fishing. Every single angler is right, too. Recognizing this fact of fishing life makes it easier for us to put together our list. 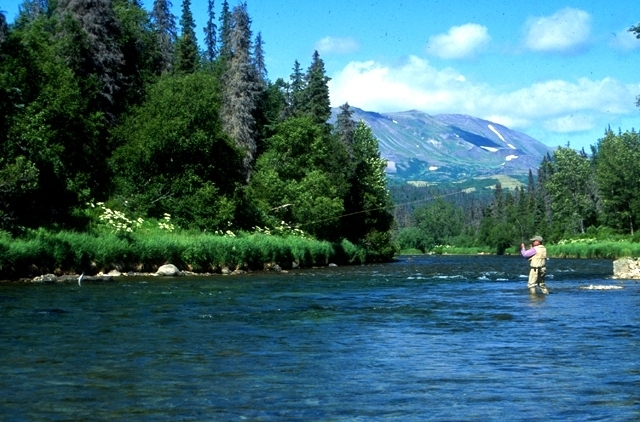 We know that you know the best, so we’re going to play it safe and just call these five locations our five favorite fly fishing rivers here in Alaska. Running more 80 wild miles through the Alaskan panhandle to Cook Inlet, this river earns its reputation as a trophy-fish paradise. If that wasn’t enough to land it on our list of favorites, its spectacular backdrop of the Chugach Mountains seals the deal. The lower Kenai’s chinook runs are legendary, and we’re crazy about catching 20-pound rainbows on the upper river. Sockeye numbers from the middle of July through summer’s end can top 1 million. Cohos jump in by early August, and an average Dolly Varden tips the scales at 4 to 6 pounds. 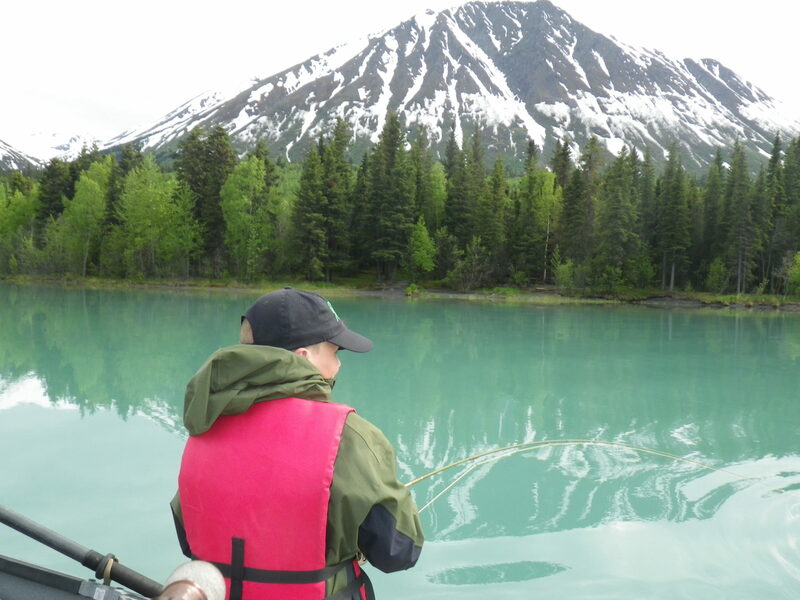 We admit that we’re partial to the upper Kenai’s seclusion and scenery. You have to love a river that was one of the first in Alaska to receive a catch-and-release-only designation for rainbow fly fishing. You have to call it a favorite for winding pools and undercut banks. This is a river that nature designed for wading with gorgeous stretches through scenic valleys lined with birch, spruce and cottonwood. The Copper is big, and it runs long for 300 miles out of the Wrangell and Chugach Mountains. The star-studded salmon lineup from mid-May through October includes chinook, sockeye and coho, and Copper River rainbows are still some of the biggest in Alaska thanks to that special designation. Seeing truly is believing when you can count the fish swimming by. That’s how clear the Talachulitna’s water runs on its way down from Judd Lake in the Beluga Mountains. This incredible stretch earns its place on our list of favorites with a world-class combination of breathtaking scenery and amazing fly fishing action. When someone mentions the Dolly Varden they caught on the Tal, they’ll probably also brag about the chinook, rainbow and grayling they landed. 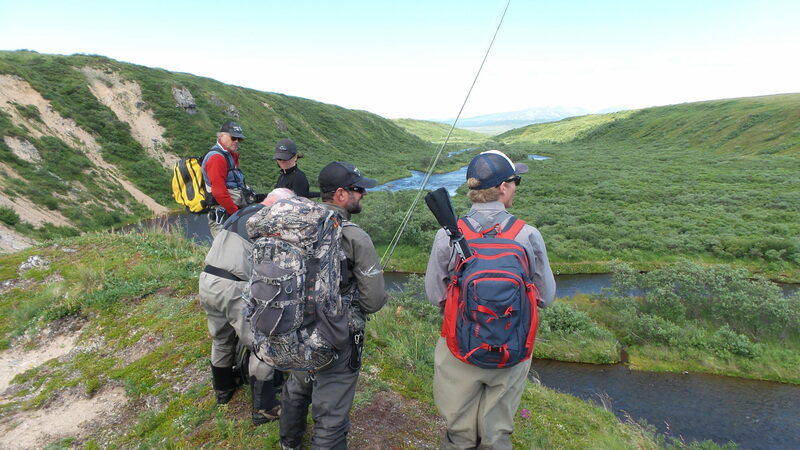 If you dream about casting while majestic, snow-capped mountains look over your shoulder, fly in to one of our favorites, and fish the Talachulitna River. This tributary of our very own Kvichak River is a perfect spot for folks who are just now discovering the world’s best outdoor sport. Its lower stretches are wide with plenty of sandbars to anchor waders longing to get wet. We especially enjoy schools of silver salmon holding on the shallow edges, and we love chasing kings in the deep channels. 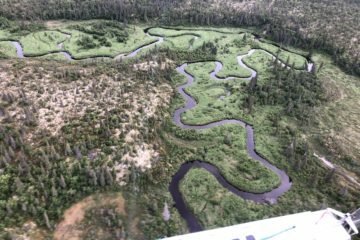 The upriver braids are an endless labyrinth of gravel beds and small channels teeming with salmon and rainbows. Some folks like this 69-mile run for whitewater adventures, but we prefer perfecting our casting skills over the Alagnak’s easy stretches. We know what you’re thinking. The Kvichak is our favorite Alaskan river because it’s our home. You’re right, and we have countless reasons to brag about the crystal clear waters that flow right outside our back door. For more than 40 years, we’ve fished the only connection between Bristol Bay and Lake Iliamna. We’ve made the Kvichak our base because it’s beautiful, productive and supports the world’s largest red salmon run. 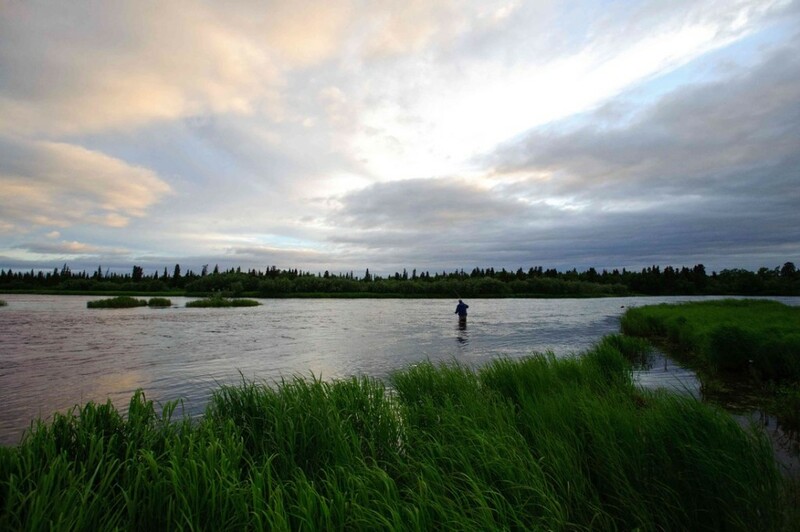 The numbers for Bristol Bay’s 2015 sockeye run topped 58 million, so we proudly stand on the banks of our Kvichak River and claim it as our very favorite fly fishing spot in Alaska. This is the kind of list that we really enjoy because it always sparks great conversations around the main lodge fireplace. Alaska’s rivers don’t compete for recognition as the best because they don’t have too. Every stretch of water up here is a magical spot surrounded by the most pristine backcountry on the planet. Sure, we have our favorites, and we know that you do too. 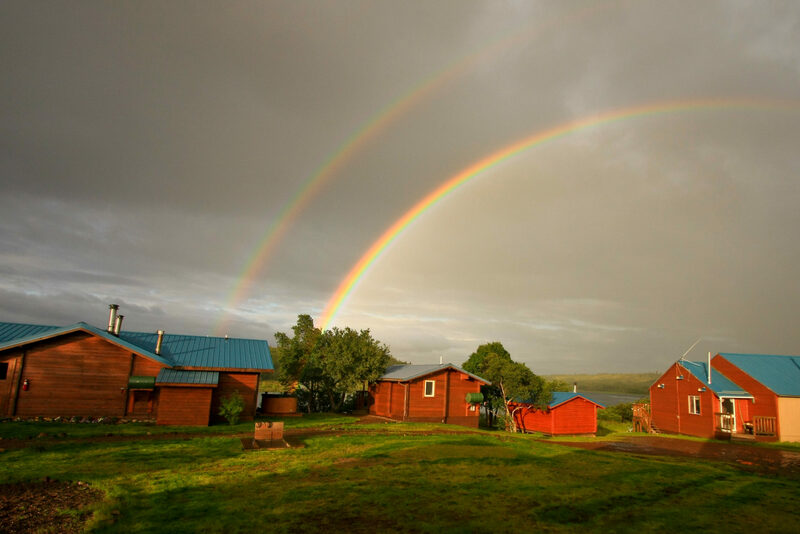 Come on up, and visit us here at No See Um Lodge. Let’s continue this discussion on our back porch looking out over the Kvichak River.